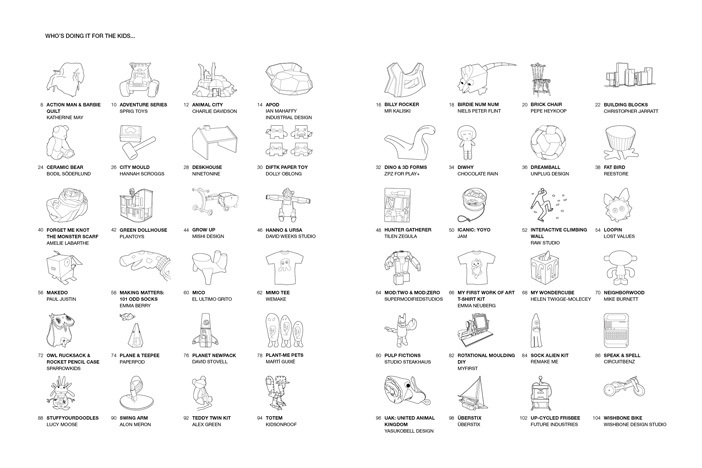 From a teddy made from a placenta to footballs made from relief aid packaging, Doing It For The Kids uncovers the latest amazing, innovative ideas in sustainable toy design today. 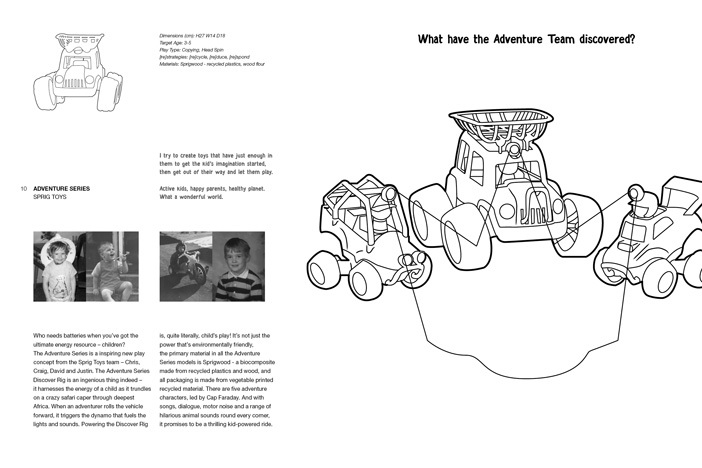 Illustrated with fun design-based activities, it's a must read, must-do book for big kids and little kids everywhere. 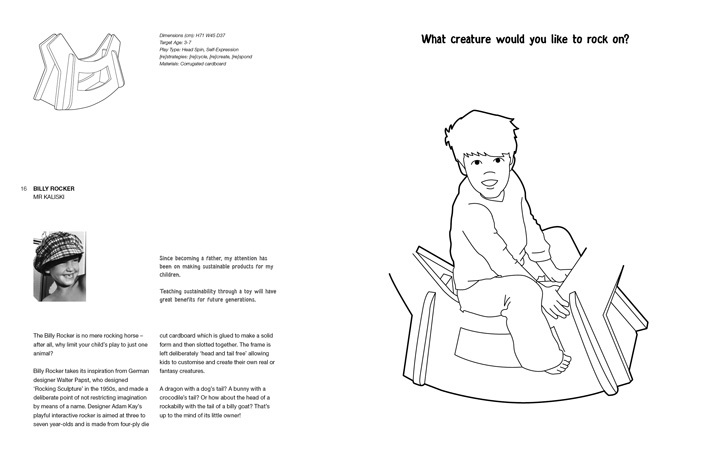 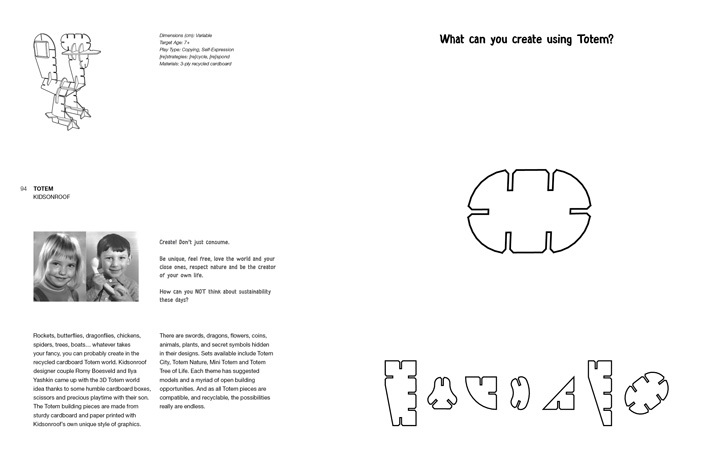 Each of the 48 designs presented in the book are also activities for you to do!